Don’t forget about our Tricky Trivia Contest this week! Don’t forget to participate in our Tricky Trivia Contest this week!! You only have today and tomorrow to answer the question correctly to be eligible to win!! Did you know that with Microsoft Outlook 2010, you can stay connected beyond just e-mail messages? You can now send and receive text messages (SMS) via Outlook 2010! So there are two different ways to set up text messaging in Outlook 2010. The easier path is with a Windows phone running 6.1 with an update or 6.5, and connected to a Microsoft Exchange Server 2010 account. With this particular setup, your text messages are synchronized from Outlook to your mobile device for sending. It’s also important to add that messages in which you receive are synchronized back to Outlook for easy reading in your Inbox. If, however, you don’t have a Windows phone or an Exchange 2010 account, you can still configure text messaging in Outlook 2010 by signing up for a third-party service that sends text messages on your behalf. These services charge a nominal fee for message delivery, but there is a free trial period so you can try it out before you subscribe to see if you like it. Although the use of a third-party messaging service requires more initial setup, after connected, you can then send texts from the convenience of your computer. For additional information and instructions on how to set up text messaging via Outlook 2010, see Introduction to Text Messaging in Outlook on the Microsoft Office website. 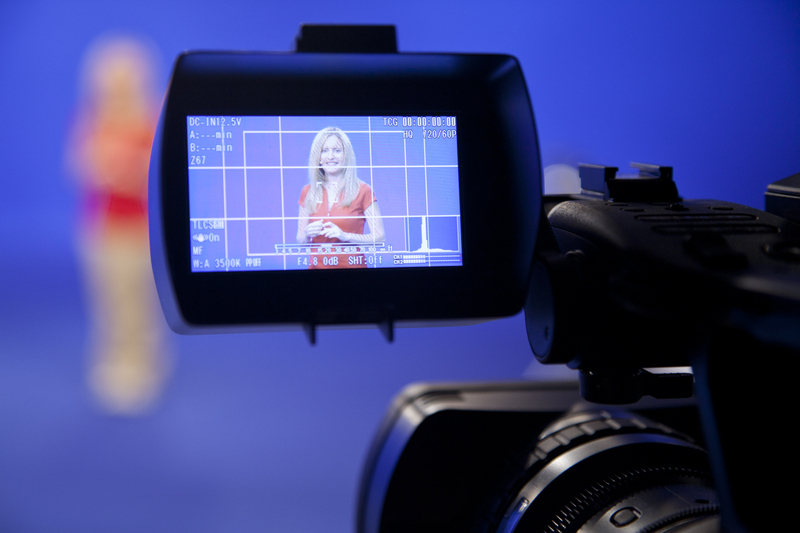 Today we finished up filming both Dreamweaver CS5 and Fireworks CS5 featuring Expert Debbie Berg! The week flew right on by us and things couldn’t have gone any smoother! Thanks for a great week Debbie! We are so excited to announce that LearnKey’s Project Management Professional course is finally PMI approved! After working closely with Michael Meskers, a PMI member, and filming the course, we knew it was definitely worthy of PMI approval- it just took us a little longer to actually seal the deal! Achieving Registered Education Provider (R.E.P.) status from the Project Management Institute signifies LearnKey as an established producer of quality training for the Project Management industry! Trivia Winner and New Question! Hey, hey… It’s that time again! First, CONGRATULATIONS to Donna Stanley for being the winner of last week’s Trivia Question!! The answer to the question was B) Puppet Warp. Just answer the question correctly in the comments to be eligible to win . Once you’ve submitted the correct answer in your comment, we’ll have a drawing and randomly pick a winner. The winner, who will be contacted via email by a LearnKey staff member, will be posted next Thursday, along with a new trivia question for the week. One of the new features offered in Dreamweaver CS5 is called Integrated CMS Support, where you can enjoy authoring and testing support for content management system frameworks like WordPress, Joomla!, and Drupal. 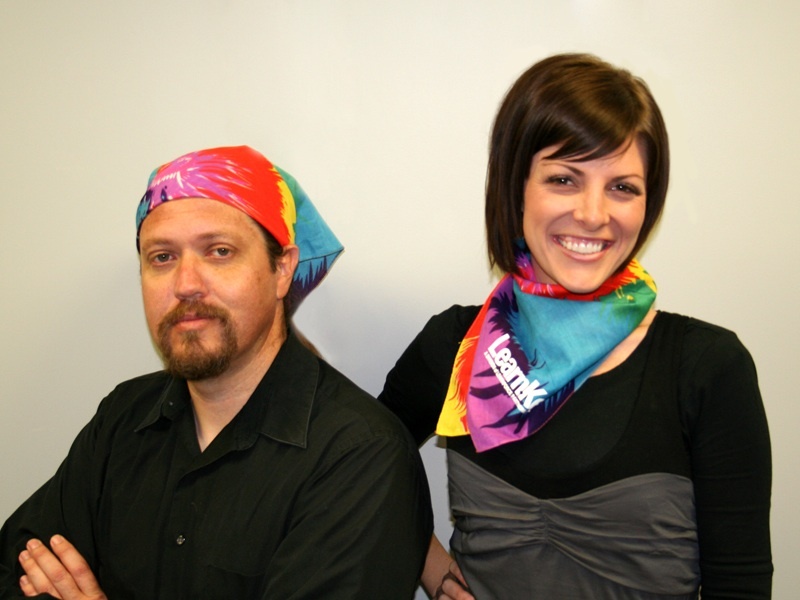 This week’s prize: A totally rockin’ LK tie-dye bandana! Today’s video post is split into two parts. First, expert Ammon Wiese explains how to utilize accelerators, which perform tasks on web content directly from the page. Next, learn about the Add-Ons Gallery for additional accelerators and how to then view and manage all of your accelerators. Expert Ammon Wiese will guide you through the steps necessary to test your content advisor in Internet Explorer 8. As I was skimming around CNN.com today, catching up on techie news, I found this awesome article called Inventor of Cell Phone: We Knew Someday Everyone Would Have One written by Tas Anjarwalla. I was fascinated as I read the history of the cell phone- which I knew nothing about before. I don’t even own a home phone. My cell phone is my life! When my cell dies, I feel completely shut off from the world. I get a panicky feeling knowing that I’m unreachable for a temporary amount of time. I can’t really remember what life was like before I had a cell phone- and I’m not that old! In the Advanced Settings Tab, you have the option to make choices regarding rating bureaus or PICSRules. Watch the clip for more details!